Stay current with studio events, health, and nutrition! Read about the exciting things we have going on in the studio, our new instructor, added classes, and a delicious pumpkin recipe! GYROKINESIS®is a movement method that gently works the entire body. It opens energy pathways, stimulates the nervous system, increases range of motion, and creates functional strength through rhythmic, flowing movement sequences. This original and unique method has benefits and qualities similar to those found in Yoga, Tai Chi, gymnastics, and dance.GYROKINESIS® is well known for the fluidity of its movements and the ease at which one can perform them. GYROKINESIS®has many benefits for the body. The exercises in this method allow one to work on the entire body through seven natural elements of spinal movement. Within a typical GYROKINESIS® class, one will “awaken the senses” through self-massage and simple breathing patterns, and will mobilize the spine through series of arching, curling, bending, twisting, and spiraling movements all done while seated on a low stool. These exercises also release the hips, knees, hamstrings, and quadriceps, while the corresponding breathing patterns stimulate the nervous system, open up the energy pathways, and oxygenate the blood. GYROKINESIS® classes not only have exercises in the seated position, but in the lying and standing positions as well. 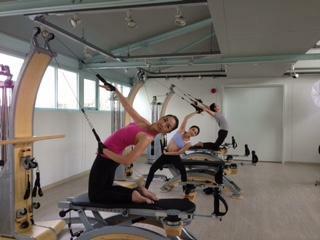 GYROKINESIS®classes can be adapted to fit anyone’s ability and are a great compliment to Pilates! The gentle motions that allow your spine to move and open up parts of your body will make it easier to perform some of your favorite Pilates exercises. Be sure to try out our GYROKINESIS® class at 6:00 p.m. on Monday evenings. Pilate-Da proudly announces a new product line from Project Maté which we are showcasing at our Boca Raton studio! Yerba Maté is a traditional infusion made from steeping the leaves of this South American plant in hot or cold water, just like tea. This brew is loaded with nutritional benefits that include 24 essential vitamins and minerals as well as antioxidant properties three times greater than green tea. One of three alkaloids naturally present within the brew from these leaves is theobromine, also available in chocolate, which allows one to have a feeling of positivity. This super food has many nutritional benefits and is a perfect drink for everyone’s exercise routine. It assists the body in slowing down its production of lactic acid during a work out, and is also a great support for any weight loss program! 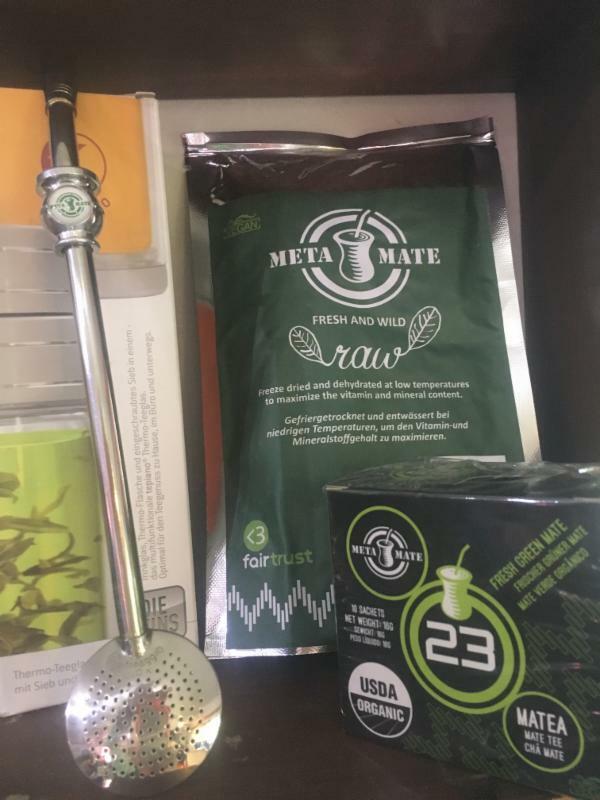 *At our studio we are carrying the Raw Meta Maté loose tea, the tea bags, as well as a convenient multifunctional Tepiano thermo-tea glass! This glass bottle is a three in one drinking glass, thermo- bottle and tea filter, ideal for enjoying tea moments at home, in the office or on the move. Great for yourself or a wonderful holiday gift! We are so excited to welcome our new instructor Nicole to Pilate-Da! Nicole discovered Pilates in 2004 to improve her spinal imbalances due to scoliosis as well as to increase her functional abilities in sports. By using Joseph Pilate’s classical curriculum to build strength, flexibility, and control, she was able to rebalance her body. 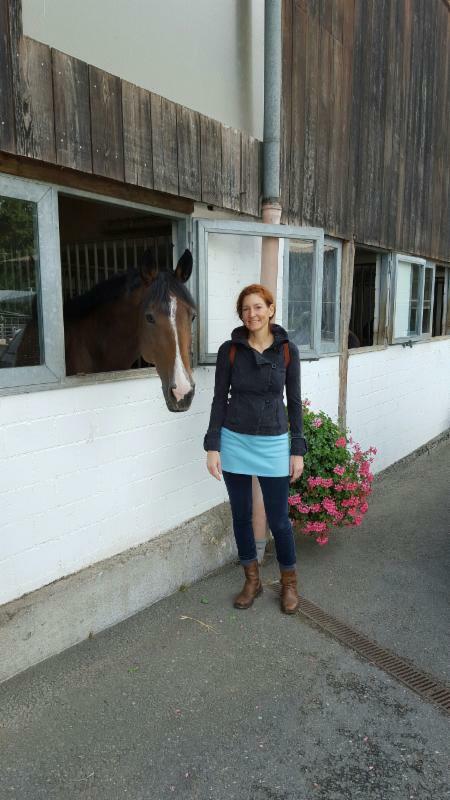 Nicole has a Romana’s Pilates certification, extensive training on all Pilates apparatuses, is familiar with Jay Grimes Pilates curriculum, and holds an Equestrian Pilates certification. She also holds a Master’s certification in Power Plate, which is controlled whole body vibrations of harmonic destabilization that occurs on three different planes. Nicole will be teaching a Pilates Circuit class at a new added time! Mondays and Thursdays at 12:00 p.m. Be sure to sign up in advance! New Class Times Added to Our Schedule! We want to make sure we have classes that suite everyones busy schedules, as well as ensuring availability for all of our wonderful clients at our growing Pilate-Da studio! We also have a new Pilate-Da app available in the App Store to make signing up for classes and keeping updated with our studio more convenient!! 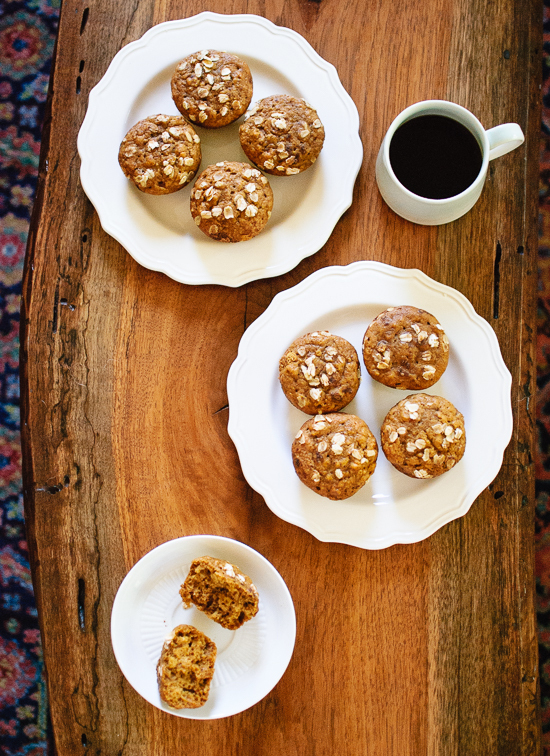 A healthy muffin made with fiber-rich whole grains and sweetened with maple syrup. Perfect to satisfy your pumpkin craving this time of year! 2. In a large bowl, beat the oil and maple syrup or honey together with a whisk. Add eggs, and beat well. Mix in the pumpkin puree and milk, followed by the baking soda, vanilla extract, salt, cinnamon, ginger, nutmeg, and allspice or cloves. 3. Add the flour and oats to the bowl and mix with a large spoon, just until combined. If you’d like to add any additional mix-ins, like nuts or dried fruit fold them in now. 4. Divide the batter evenly between the ten muffin cups. For these muffins, it’s okay to fill the cups a little higher than you normally would. Sprinkle the tops of the muffins with a small amount of oats, followed by a sprinkle of cinnamon. Bake muffins for 23 to 26 minutes. 5. Place muffin tin on a cooling rack. These muffins are delicate until they cool down, so it’s best to wait until they have cooled down to remove. Enjoy as is or with a spread of nut butter! If you write a testimonial on Yelp, Google or Facebook we will offer you a free class.